Hospitality is an art performed from the heart. Our experience at Anemos was a perfect one, the staff helped us, in every way to feel like home surrounded by family. They care about every single detail and they warmth was beyond description. The place was sparkle clean, close to everything, beaches and town. Whenever I think of Mykonos, Anemos would be my home there. Absolutely loved staying here! 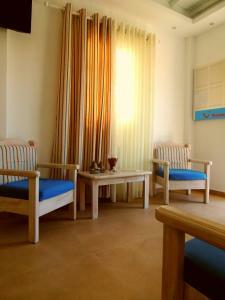 Perfect location right near ornos beach, located near good bakeries and a supermarket. Also very close to the bus stop that goes straight into town. The apartment was very large and nice. Each room had a terrace and the pool was beautiful! Excellent location!!! Very nice the mom of the family! So kind :)) always wanting to help! So lovely. The aparts are really cute! The hosts were really nice, providing us with tips for activities and restaurants, a free transfer to the port and a couple of free delicacies near the pool bar. The pool was nice, though we were a bit unlucky with the weather. The room was very comfortable with a small kitchen and plenty of space for luggage and sitting. 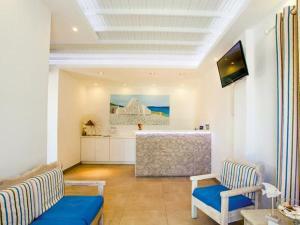 The apartments are right between two beaches in the village, each within only three minutes walking distance. Pool, staff, breakfast, large room, great view. It was amazing over expectations! Best 3 star I've ever been to. A large one bedroom apartment. There was a pool with snack and bar facilities. Only a few minutes walk to beach and likewise to the bus stop. Excellent customized veggie breakfast provided by very friendly manager. The staff are all amazing!!! Lovely apartments, great food. The owners Poppy and her daughter Maria were extremely nice and helpful well beyond expectations! 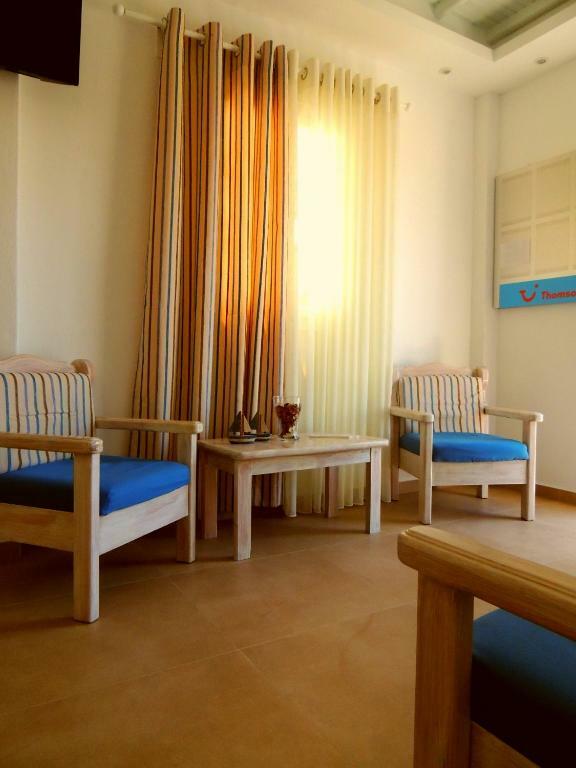 Great location close to orno beach about 5min walk. Water taxis really close that enables you to go to visit other beaches for 10€ (return included). We had a very nice appartment for 4 people with two terrasses. The appartment was clean and we had a lot of space. You can rent quads and scooters directly from the hotel for 25€ per day for a scooter and 40€ quad. Super market is about 5min walk and restaurants are close near by. 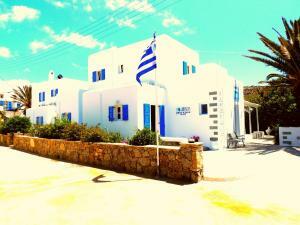 The city bus to go to mykonos town is close to ornos beach and very handy. The staff was very nice and helpful. I would recommend this hotel. this accommodation was amazing, it is run by a local family who are incredibly;y helpful and make you feel at home, they go to the trouble of learning your name and always saying hello every time they see you. So helpful, so friendly and I cant not recommend highly enough. 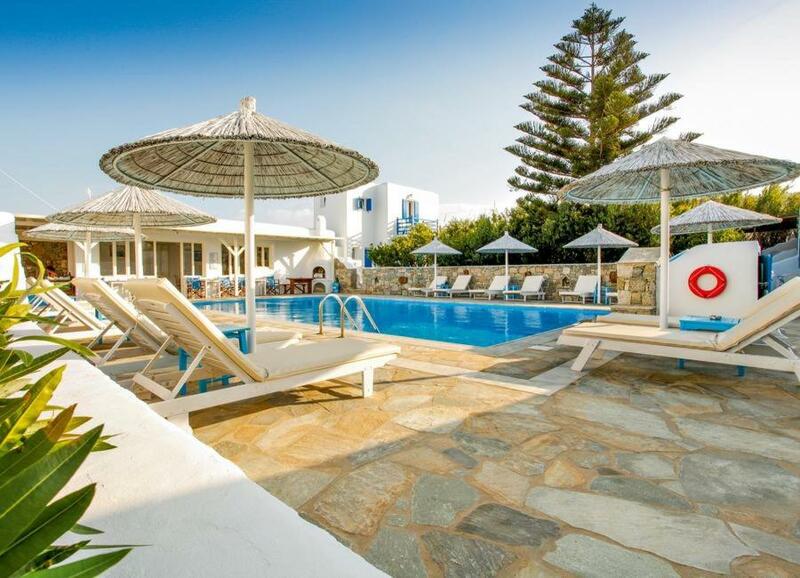 Lock in a great price for Anemos Apartments – rated 9.1 by recent guests! 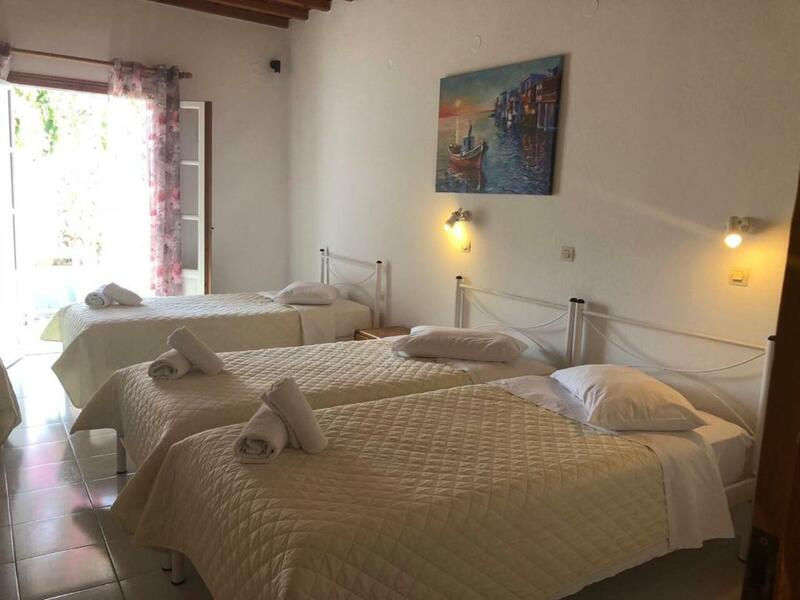 Only 300 feet from Ornos Beach, Anemos Studios Apartments offers free public Wi-Fi and features a swimming pool with pool bar and furnished furnished terrace. Accommodations at the family-run hotel include cooking facilities. Each with a view of the pool or the surrounding garden, the air-conditioned studios and apartments include balconies or terraces. 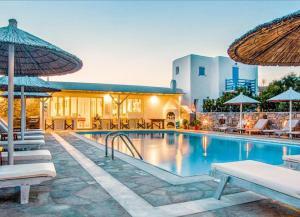 They are built and decorated in typical Cycladic style. Amenities include a satellite TV, and a kitchen with fridge. The staff at the front desk provide information on nearby attractions and offer a bike/car rental service. Daily boat service is available at Ornos Bay, offering easy access to many of the island’s beaches, and excursions to Delos. 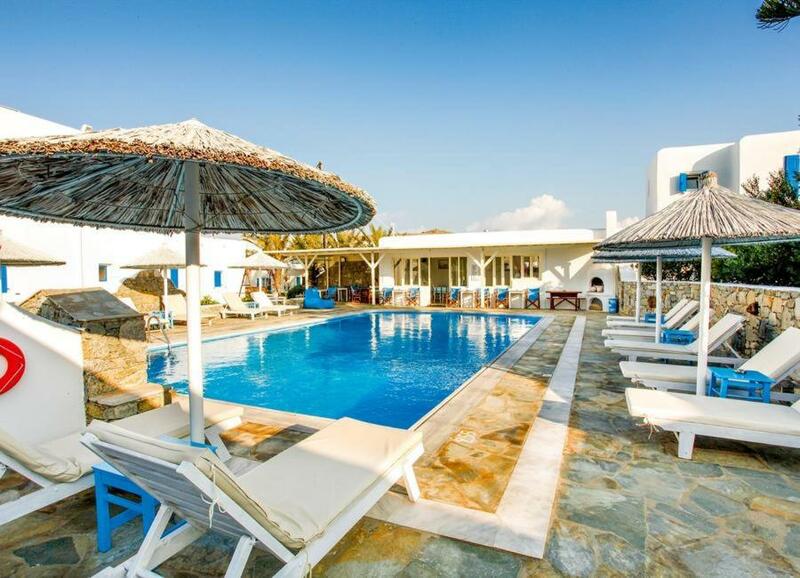 Only 300 feet from central Ornos and the bus stop, Anemos Studios Apartments are only 1.5 miles from Mykonos Town. A large parking area is available on site. 뀐 Located in the top-rated area in Ornos, this property has an excellent location score of 9.4! When would you like to stay at Anemos Apartments? This studio has a balcony with view of the grounds. A crib may be added in this studio upon request. This apartment has a balcony with view of the grounds. This apartment has a balcony with garden view and it is located next to the pool. This apartment has a patio with garden views. Features cooking facilities and is located next to the pool. This double room has a patio and air conditioning. This quadruple room has a dining area, air conditioning and toaster. This twin room features a toaster, kitchenette and electric kettle. This double room has a seating area, kitchenette and toaster. Friendly aerea, family run business. House Rules Anemos Apartments takes special requests – add in the next step! Anemos Apartments accepts these cards and reserves the right to temporarily hold an amount prior to arrival. Please inform Anemos Apartments of your expected arrival time in advance. You can use the Special Requests box when booking, or contact the property directly using the contact details in your confirmation. The shower gets easely sunk with water as the shower curtain is too short. Location fabulous although do rent a car to see the rest of the island and the great variety of beaches. Poppy and Maria were amazing and nothing was too much trouble. Immaculate accommodation. Lovely atmosphere . Good location. Would definitely recommend! Location - excellent Staff - fabulous Extremely clean Beautifully kept.. So overpriced for what it was. Not enough beds at the pool to accommodate the amount of guests. We waited nearly 1 hour at the port on arrival for the transfer to turn up which was hugely frustrating, we would have got a taxi if we'd known it would take that long. We also decided to hire a scooter for 2 days from the hotel...we were told it was an 80cc engine and paid the respective price, only to see that it had 50cc written on the side of the bike? When we came to check out and pay for the scooter also our transfer back to the airport, we were told we couldn't not pay by card as it was illegal?? This was the last hour of our holiday and we had purposely spent all of our cash so not take any home and were made to go to an ATM pay a €3 transaction fee to get cash out. There was no sign or information to tell us we needed to pay for extras in cash. Disappointing experience with bad attitude from staff. We booked through Booking.com and did not get the accommodation we booked, we thought we had got a double apartment but got a double room instead, apparently an error on the website. The owners of Anemos Apartments were mortified but as they were full we couldn’t be moved, they were as disappointed as we were and couldn’t have been more apologetic but it wasn’t their fault. Booking.com have agreed to compensate us for meals upto 360 Euros which helped but it did not make up for our disappointment. Poppy, Maria and her team are amazing hosts, a real family atmosphere. Property well maintained, always kept very clean. Breakfast very good choice and good quality. You can take lunch around the pool again good choice and quality. Highly recommend staying at the Anemos Apartments. 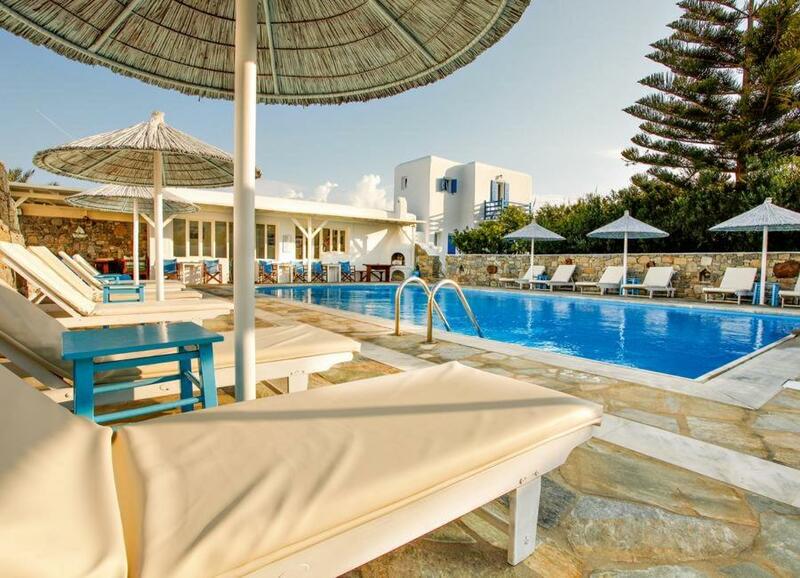 Close to the beach and tavernas and restaurants. 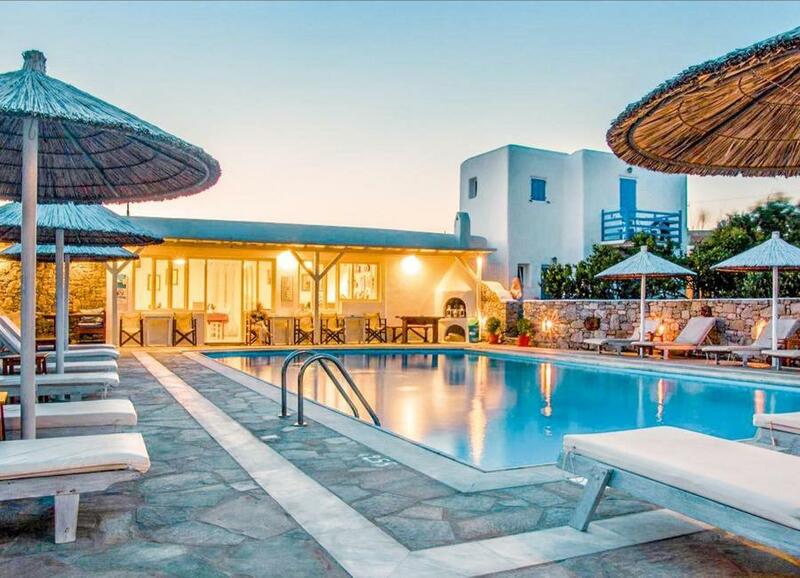 Easy access into Mykonos town.